This city located on the banks of the Garonne River in southwestern France is famous for being the world’s major wine industry capital and is the capital of the Aquitaine region. Each year it is home to the world’s main wine fair, Vinexpo. The historic part of the city is on the UNESCO World Heritage List as a place of outstanding urban and architectural beauty from the 18th century. Bordeaux is a great destination for wine enthusiasts and those interested in horticulture as well as those who want to experience the rich history of this lovely region in France. The Dordogne River is one of France’s main rivers and flows into the same estuary with the Garonne River. 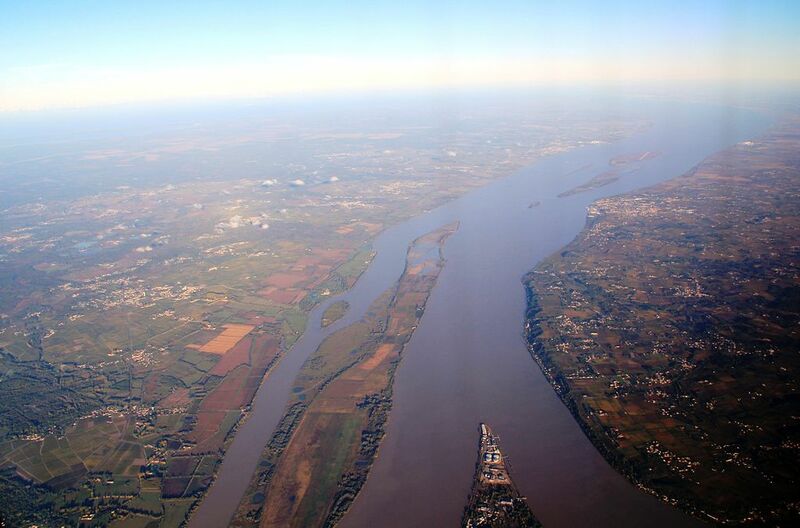 It is one of the few rivers in the world that has a natural phenomenon known as a tidal bore. This tour takes you to the upper valley of the Dordogne where you will see deep gorges, cliffs, steep banks and fast flowing water with beautiful bridges throughout the day. This area is very popular with nature lovers, and hikers from all parts of the world and is one of France’s main gastronomic regions with exceptional food and drink. Afternoon: Departure from school and travel to the port of Dover for crossing into France. Evening: Arrival in Northern France for overnight stay. Morning: Morning departure from accommodation and travel to to Bordeaux. Afternoon:Arrival in the afternoon in Bordeaux and start of walking tour. 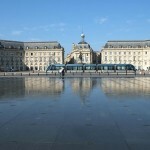 See the Place de la Bourse, Miroir d’Eau de Bordeaux, Porte Cailhau, Norte Dame Church and much more. Evening: Evening arrival at accommodation for overnight stay. Morning: After breakfast at accommodation, take a cruise on the River Garonne and then River Gironde on our way to Pauillac where we will arrive around lunch time. 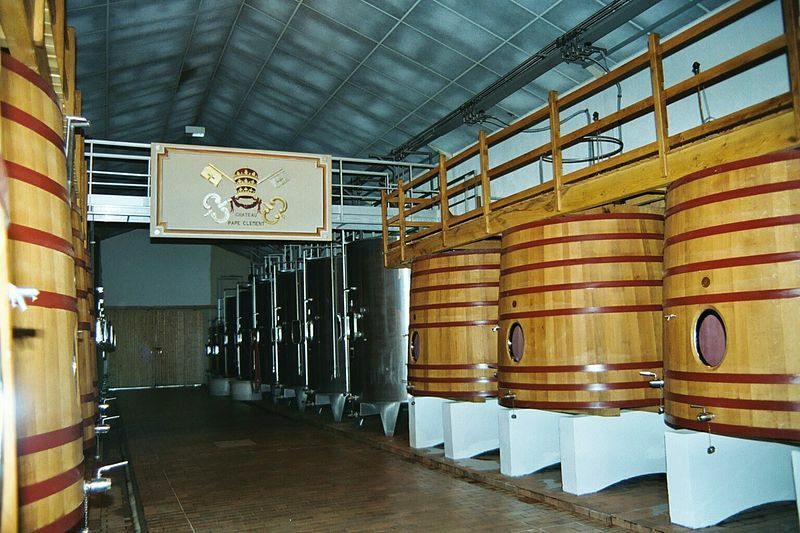 Afternoon: After lunch, visit the Chateau Mouton Rothschild Winery for a tour of this famous winery. Enjoy stunning grounds, an amazing wine museum, and a small tasting of wine as part of the tour. Morning: After breakfast travel to the Gironde Estuary to see where the Dordogne & Garonne River meet and the largest estuary in western Europe. Afternoon: Spend the afternoon exploring the small ancient port town of Blaye. 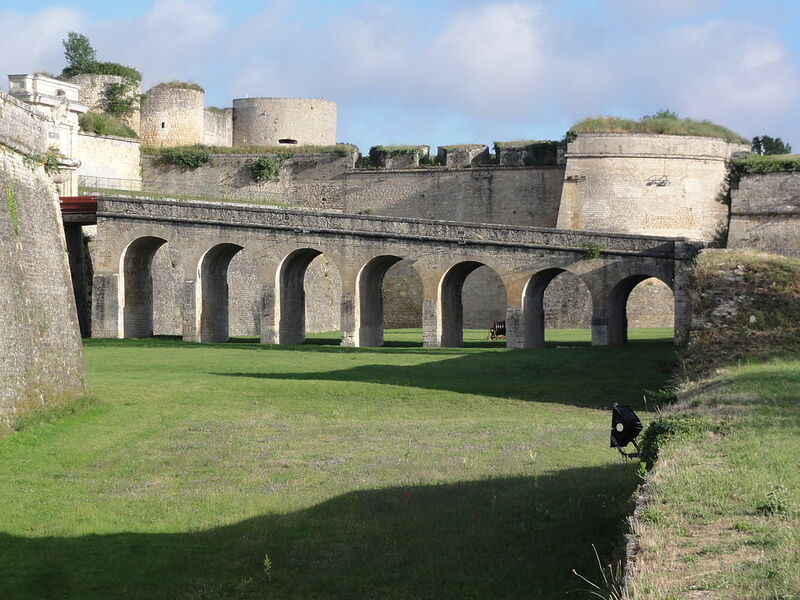 See the citadel of Blaye and more. Morning: After breakfast travel to Saint Emilion. 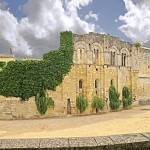 This town dates back to prehistoric times and is a World Heritage Site with beautiful Romanesque churches and ruins stretching all along steep and narrow streets. Afternoon: After lunch, travel to Lascaux to visit the world famous Lascaux Caves. The drawings inside this cave are estimated to date back up to 17,300 years ago. Evening:Evening arrival back at accommodation for overnight stay. Morning: After breakfast check-out of accommodation and spend the day exploring Bordeaux before our jounrey back to England. Afternoon: Afternoon departure from Bordeaux and travel north to overnight accommodation. 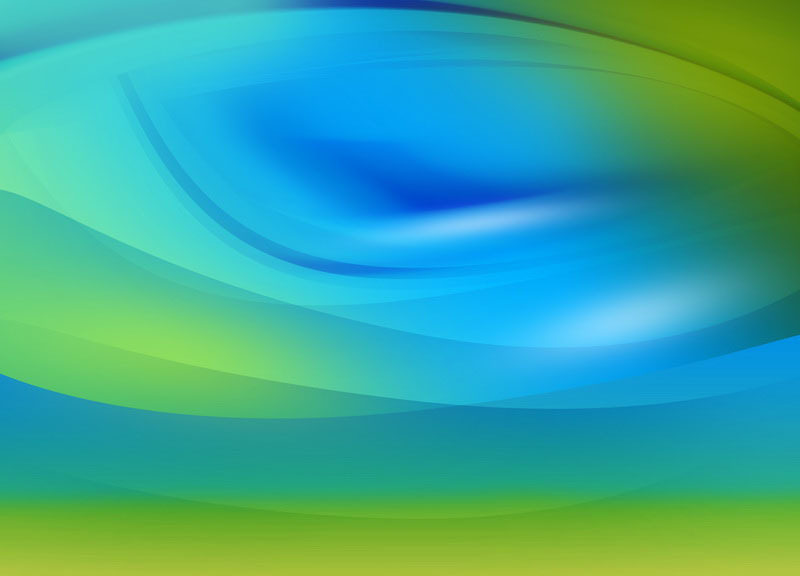 Evening:Enjoy the evening at your leisure. Overnight stay. Morning: After breakfast travel to Calais for crossing back to England. Afternoon: Arrival back in England in the afternoon and onward travel back to school. 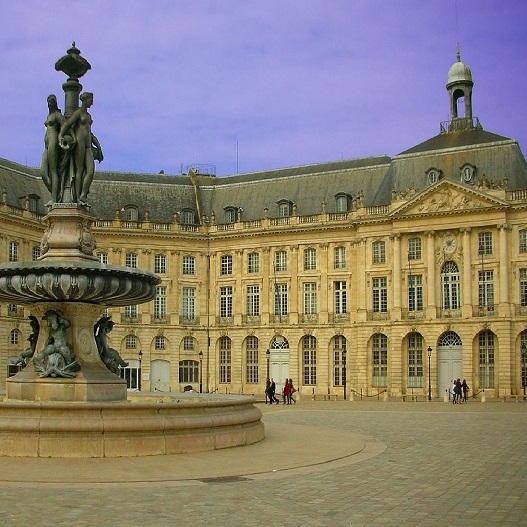 This is easily one of the most easily recognisable sights of Bordeaux. 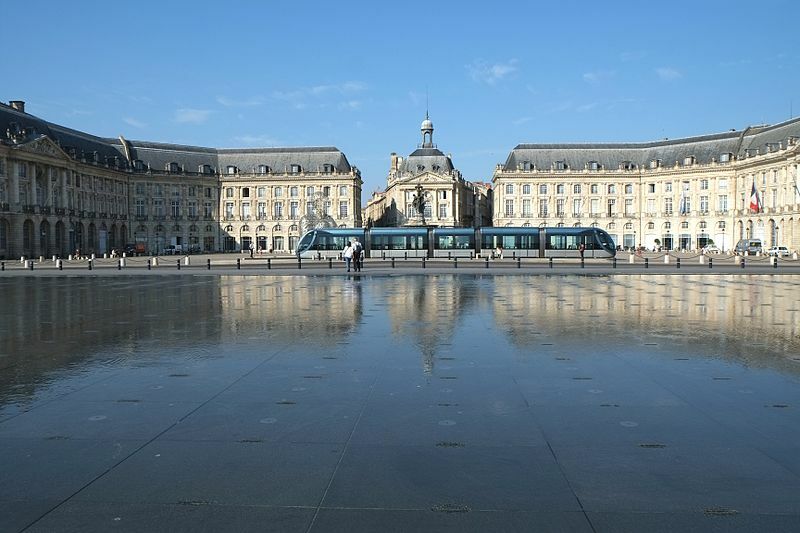 Designed by architect Ange-Jacques Gabriel and built from 1730 to 1775 is part of the Port of the Moon, Bordeaux which is listed as a UNESCO World Heritage Site. 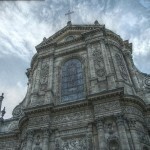 It is one of the finest examples of outstanding urban ensemble and stands on the edge of the Garonne River. The beauty of the Place de la Bourse becomes almost unreal when it is reflected in the “le miroir d’eau”, the largest reflecting pool in the world. According to beliefs, the water mirror was inspired by the regular flooding of Saint Mark’s Square in Venice. 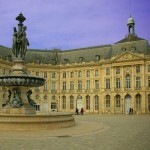 Also known as the Grand Theatre de Bordeaux and was inaugurated on 17 April 1780. It was the place where the ballet La Fille Mal Gardee was first performed and where a young Marius Petipa first performed. The theatre was designed by architect Victor Louis and was even used as the French National Assembly in 1871. This is the oldest wine estate in Bordeaux. 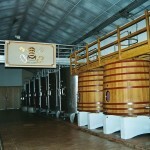 It produced its 700th vintage recently in 2006. Originally started in the year 1300 it was presented to Bertrand de Goth upon his appointment as archbishop of Bordeaux. The vineyard area consists of 32.5 hectares which has grape varieties including Cabernet Sauvignon and Merlot as well as Souvignon Blanc, Semillion and Muscadelle. Dating back to 1494, this large and beautiful monument reamins pratically unchanged. This medieval gate was intergrated into the city walls and offers magnicifent views of the oldest bridge in Bordeaux, the Pont de Pierre. This church shares the same name as the more famous church in Paris. 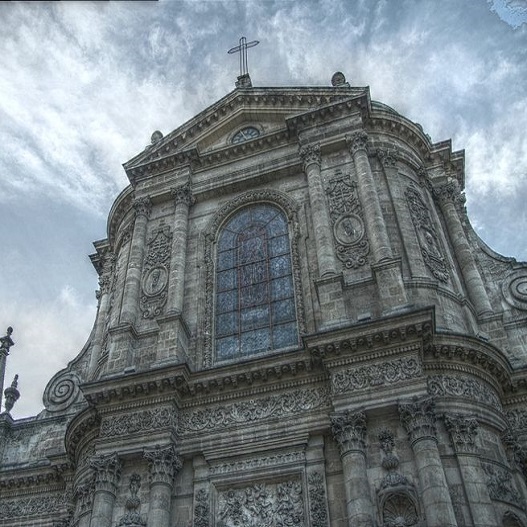 This 11th century church is equally beautiful with its elaborate facades and detailing along with stained-glass windows. This is where the rivers Dordogne and Garonne mmet and flow out into the Atlantic Ocean. 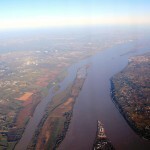 It is the largest estuary in western Europe. 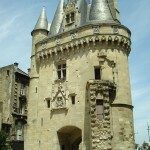 It has throughout history served as a busy gateway into France. 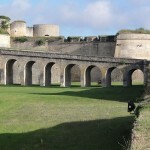 This citadel and the Vauban’s fortifications were entered into UNESCO World Heritage Sites in 2008. 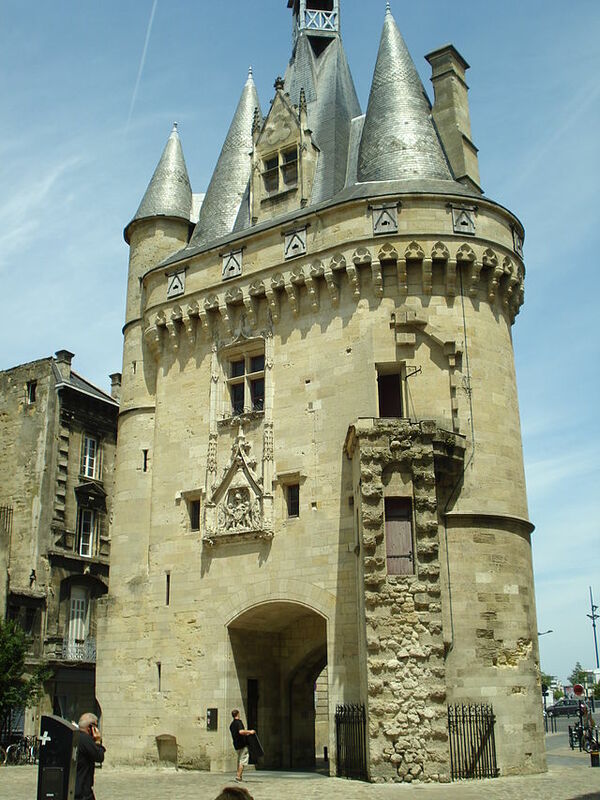 These fortifications have defended the city of Bordeaux for centuries and today are a popular tourist destination for those visiting Bordeaux. 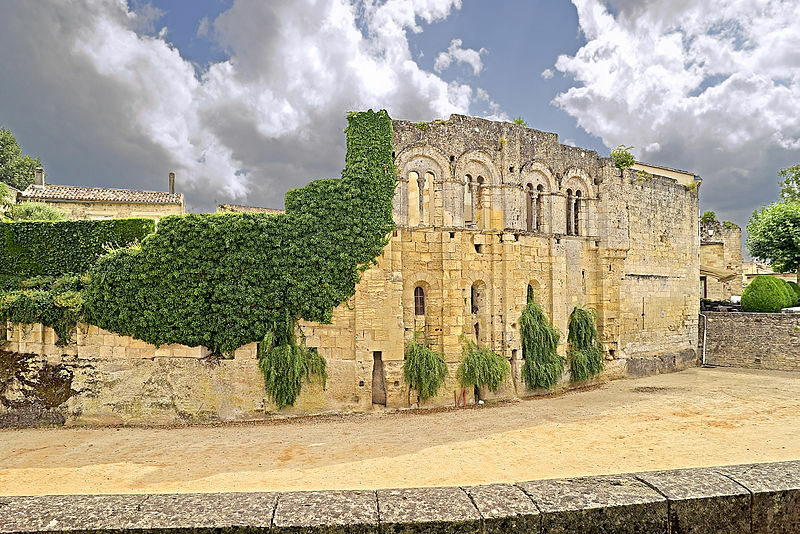 The Jurisdiction of Saint-Emilion is an outstanding example of a historic vineyard landscape that has survived intact and in operation to the present day. The first traces of human settlement in this area dates back to 35,000 BC and has been long used in the cultivation of grapes. This complex of caves near Bordeaux contain some of the best known Upper Paleolithic art. 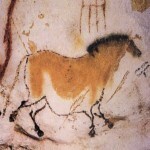 Some of the paintings are estimated to be 17,300 years old and consist of mainly images of large animals. Lascaux was added as a UNESCO World Heirtage Site and tours of replica caves can be visited with reproductions of the original paintings in the caves.